A woman was injured after the driver of the car she was in failed to stop at a stop sign, which led to a two-vehicle crash. 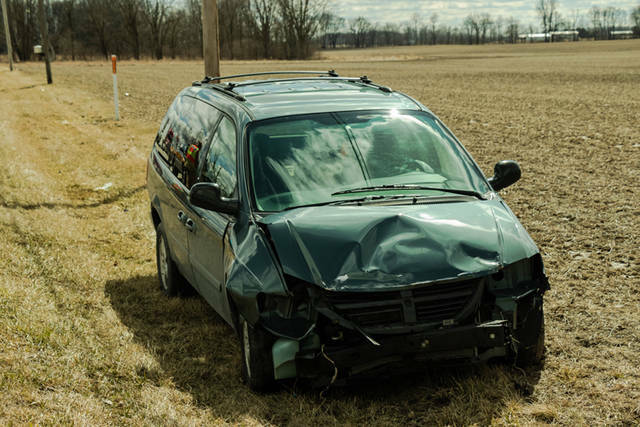 DARKE COUNTY – One person was transported to the hospital following a crash on Friday afternoon. 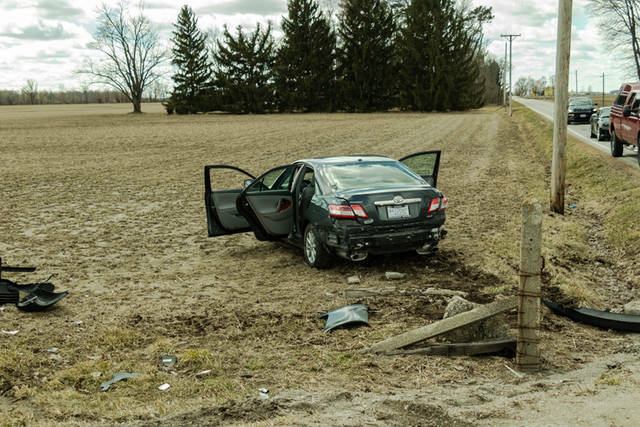 At approximately 2:45 p.m., Darke County deputies along with Ansonia Fire and Ansonia Rescue were dispatched to the intersection of State Route 118 and Beamsville Union City Road reference a two-vehicle, injury accident. 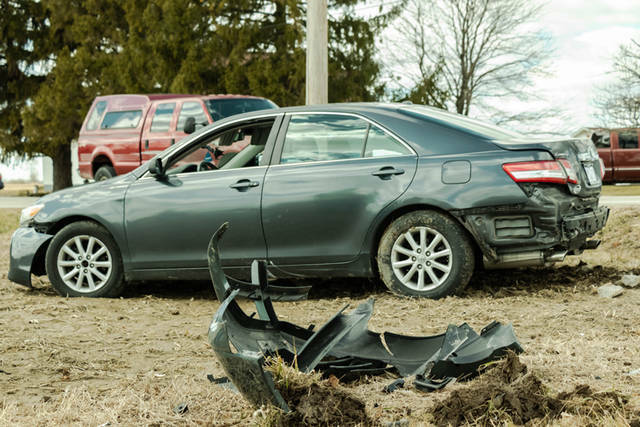 An investigation revealed that a gray 2011 Toyota Camry driven by Raul Sosa, 35, of Union City, Indiana, was traveling westbound on Beamsville Union City Road when he failed to yield at the stop sign. Ramos’ vehicle entered the intersection and was struck by a blue 2005 Dodge Grand Caravan driven by Elizabeth Foght, 28, of Arcanum, which was traveling southbound on State Route 118. Both vehicles came to final rest off of the roadway. The roadway was closed to all traffic for approximately 30 minutes. Foght was treated at the scene for minor injuries while a passenger in Sosa’s vehicle, Nancy Ramos, 39, of Union City, Indiana, was transported to Wayne Hospital by Ansonia Rescue with non-life threatening injuries. Sosa, who was not injured in the crash, was cited for failure to yield at a stop sign and driving with no driver’s license. This entry was tagged Ansonia Fire and Ansonia Rescue, Ansonia Fire Department, Ansonia Rescue, crash, Darke County Sheriff’s Department, Darke County Sheriff’s Office. Bookmark the permalink.